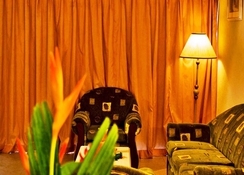 Golden Sands is a three-star hotel suitable for couples and families. 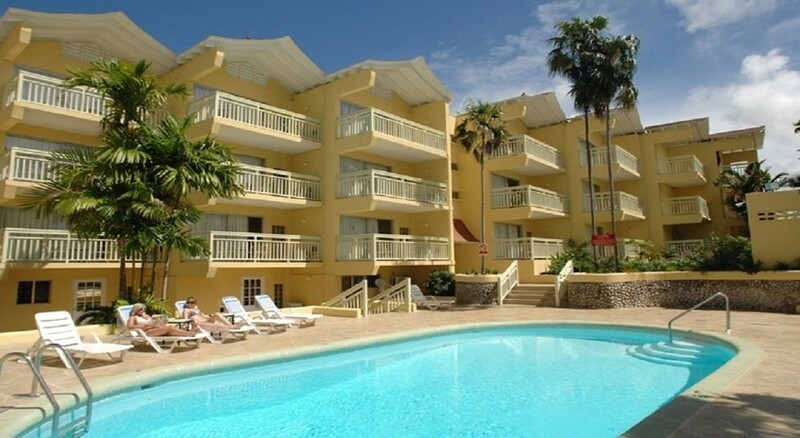 It is conveniently situated on the Maxwell Road in Barbados; the hotel’s all-inclusive package allows you to explore and enjoy the facilities to the fullest! The rooms at the hotel are immaculately decorated and also offer spectacular views of the pool and the lush green surrounding area. 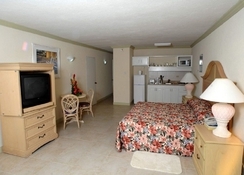 The hotel’s location and personalised environment helps in providing a true Caribbean experience. 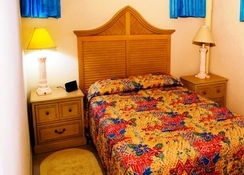 Being centrally located, the hotel is only a few minutes’ drive from several shops, malls, restaurants, etc. The hotel features an amazing swimming pool, a spectacular restaurant serving brilliant food and a sun terrace to enjoy the balmy Caribbean sun! Being a beachfront hotel, the beach is only a few metres away! 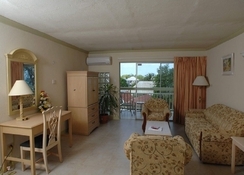 Golden Sands boasts a perfect location that helps in exploring Barbados. There are several places of interest, restaurants, bars close to the hotel. Furthermore, the hotel is close to some lovely beaches, including the Maxwell Beach, which is surely good news for beach lovers. The Grantley Adams International Airport is just 8.5km from the property, about 10 minutes’ drive. The rooms at the Ole Tropical Tenerife Hotel are absolutely stunning with magnificent views of the pool, trees, sun, sand and sea. They are categorised as Studio and One Bedroom. All rooms come with a balcony, safe, air conditioning, complementary toiletries, microwave, coffee maker, fridge, hairdryer, telephone and television. In-room service is offered by the hotel. The hotel offers breakfast plan and modified American plan for food only. The Modified American Plan will let you experience lip-smacking breakfast and dinner without additional charge. If you want to explore more, then get into the Oasis Beach Bar to get a true essence of Caribbean cuisine. Or step into the Champers Restaurant to experience European, American and Mediterranean delicacies. The staff members have a friendly and professional approach and help in suggesting the best food combinations. 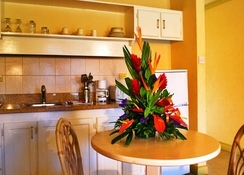 The hotel is among the best in Barbados. It offers a comfortable stay and features an outdoor swimming pool, where you can take a relaxing swim and have refreshing drinks while lying on one of the sun loungers dotted across the pool. In fact, the pool is the best place in the hotel to see and be seen. Golf lovers will not be disappointed either as the Rockley Golf Course is only 5km from the hotel.